Railpictures.ca - Dave Burroughs Photo: 1-2-1 First generation, second generation, first generation diesels are lashed up here on train 396. 4000 is one of two GP-35′s on CN that were built in 1964. The 3108, an MLW RS-18 was built in 1959. | Railpictures.ca – Canadian Railway Photography – photographie ferroviaire Canadienne. Caption: 1-2-1 First generation, second generation, first generation diesels are lashed up here on train 396. 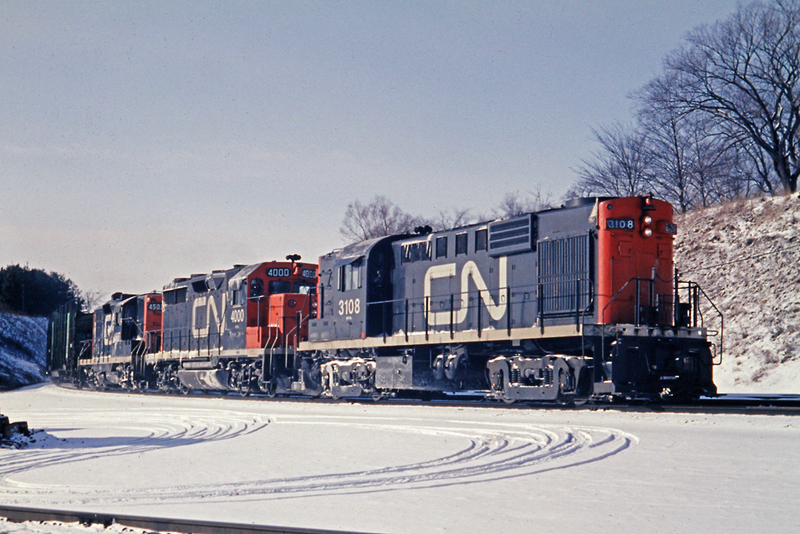 4000 is one of two GP-35's on CN that were built in 1964. The 3108, an MLW RS-18 was built in 1959.